1. Open the excel file link below. 2. 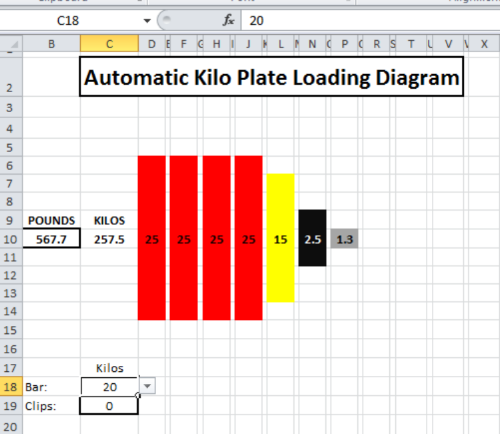 Select your bar weight and clip weight. 3. Select your desired weight in pounds.